Invacare All-In-One Aluminum Commode offers comfort and stability. With its 16 inch wide seat, consumers gain additional comfort and support. 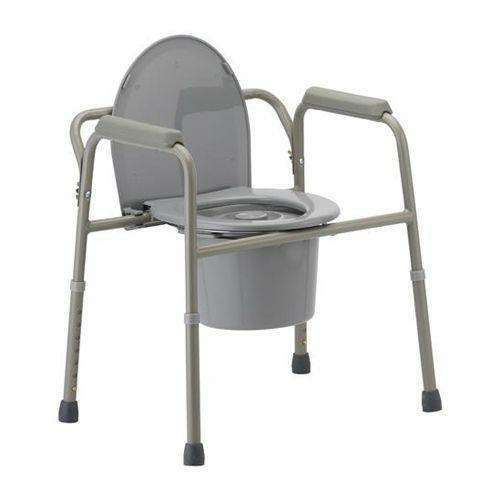 This aluminum commode can be used at bedside or with the backrest removed, it can act as a toilet safety frame or raised toilet seat. Comes complete with commode bucket, bucket cover, splash shield and non-marring rubber tips that have bottom hole for drainage after cleaning.